Riley Blake Designs & Penny Rose Fabrics Licensed Fabric Collections “Anne of Green Gables Christmas”. 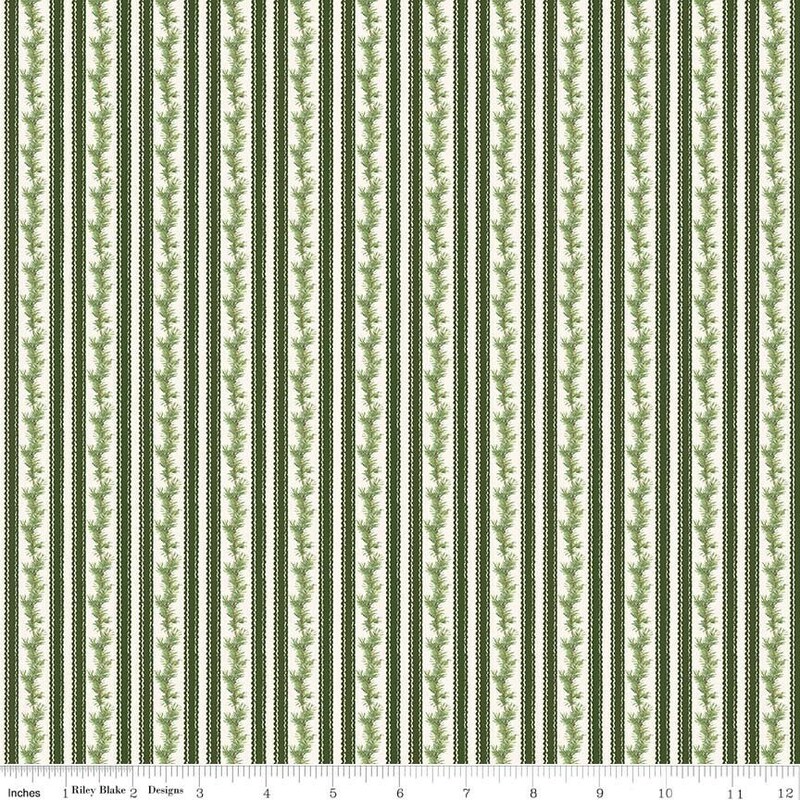 100% cotton, pattern C6494—Green Stripe. Yardage can be cut in 1/4-yard increments. If you would like more than 1 yard cuts may be combined and fabric will ship as a continuous yardage cut unless requested specifically in notes or ordered as a fat quarter. This arrived timely, was what I was looking for and part of a companion fabric. It's beautiful fabric. Perfect for my daughters' dolls! Just what I was looking for! Love the feel of the fabric. Shipping was quick and I received money back because shipping cost was lower.